From 17 October, GOV.UK will be the best place to find government services and information. GOV.UK will replace Directgov and Business Link, making it simpler, clearer and faster to find what you need from government.Content and services may look a little different to what you’re used to, but you’ll still find services and information provided by DSA. To get an idea of how GOV.UK will work, you can use and give feedback on a trial, or ‘beta’, version of the website now. The Highway Code applies to England, Scotland and Wales. It’s essential reading for everyone. Here’s a reminder about signals. Latest Info from the Driving Standards agency, reminding you about how to deal with junctions in case you need a refresher. Check your friends and family are up to date with their highway code. Good topic of conversation if you’re feeling bored or at a loose end after the Olympics. Worth remembering some of the Para- Olympic athletes may be as they are because of a lack of road safety. If you’re near the National Arboreatum check out the wood dedicated to Road traffic Accident victims. It’s well worth a visit. The Highway Code applies to England, Scotland and Wales. It’s essential reading for everyone. Here’s a reminder about road junctions. look all around before emerging. 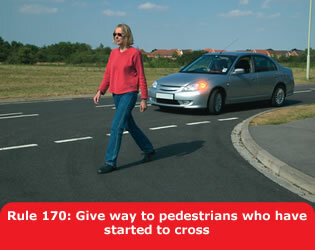 Do not cross or join a road until there is a gap large enough for you to do so safely. Mobile phone & in-vehicle technology & Driving?? Latest reminders. Remember if it’s written in red it’s a law! So you could be prosecuted for it! The Highway Code applies to England, Scotland and Wales. It’s essential reading for everyone. Here’s a reminder about mobile phones and in-vehicle technology. You MUST exercise proper control of your vehicle at all times. You MUST NOT use a hand-held mobile phone, or similar device, when driving or when supervising a learner driver, except to call 999 or 112 in a genuine emergency when it is unsafe or impractical to stop. Never use a hand-held microphone when driving. Using hands-free equipment is also likely to distract your attention from the road. It is far safer not to use any telephone while you are driving or riding – find a safe place to stop first or use the voicemail facility and listen to messages later. There is a danger of driver distraction being caused by in-vehicle systems such as satellite navigation systems, congestion warning systems, PCs, multi-media, etc. You MUST exercise proper control of your vehicle at all times. Do not rely on driver assistance systems such as cruise control or lane departure warnings. They are available to assist but you should not reduce your concentration levels. Do not be distracted by maps or screen-based information (such as navigation or vehicle management systems) while driving or riding. If necessary find a safe place to stop. 2011 & 2012 Abacus is currently the only Driving School recommended to Tamworth Borough Council for Advertising in their Publications. We do not know who recommended us to them, so many thank you who ever you are. Abacus Driving school has been responsible for the planting of a tree in the new Jubliee wood in Leicestershire sponsored by the Daily Mail. Under the same scheme Abacus has also been sent and is planting a Hawthorn Hedge part other shrubs in the Hillcrest Close Garden. We are hoping that this will provide more and better habitat and nesting sites for locally endanger sparrows who are on a severe decline due partly to moderns roofing design which tend to prevent there old habit of nesting in small communities in roofs. They tend to be better protected from predators this way. For more information contact RSPB. Road works in your area? How do you know when there are road works in your area? Well you can log on to the Highways Agency and sign up to news feeds for roads in your area and they will send you daily updates for the specific roads that you use. For an Instant Traffic check click here. To sign up for regular road works in your area click here. The General Highways Agency site is extremely good for finding many many other useful and interesting things to help you plan your journeys and holiday destinations. There is information on traffic cameras, how the roads are managed, up and coming road projects. Of particular interest to Abacus is the care that is now taken to protect and help the environment when building new roads and as an on going strategy. Respecting the environment is key. Some of their top Features are Environment Strategy, Environmental Tips and Schemes and Initiatives. Tamworth currently operates an experimental 20 Zone around local schools. This is a scheme being tested to see if it reduces accidents around schools during the hours that children are entering and leaving schools and some colleges. You may have seen signs saying 20 when the light show. These are the amber coloured vertical lights which which traffic patrol men & women turn on when they are helping young people to cross the road. Please look out for them and do not ignore them. If the lights are not flashing the normal speed limit applies. We have seen people slowing when they just see the sign. This could cause congestion. There are unfortunately some occasions when the flashing lights have been lepton long after youngsters have gone, this something i would urge traffic patrol people to ensure is done correctly for the sake of all road users as it encourages drivers to ignore the lights when they shouldn’t. For more information on this go to Staffordshire roads. If you have an opinion on the 20 Zones around schools made you would like to give Abacus some feedback on Facebook or Twitter or even LinkdenIn. We always like to know what the public think after all they are you children going to school and you as parents picking them up and dropping them off. Highway Code changes from 30-11-2018. 81% of New Drivers better prepared for real life driving. Engine Idling is it Lagal?